Did T. Rex Have Feathers Too? It’s an exciting time to be a paleontologist. More and more new discoveries are changing the way we perceive the prehistoric behemoths that dominated the earth for over 100 million years. That some dinosaurs were feathered is now beyond dispute, but this specialization has been thought to apply only to very small dinosaurs, or to young ones that shed their downy feathers in adulthood. 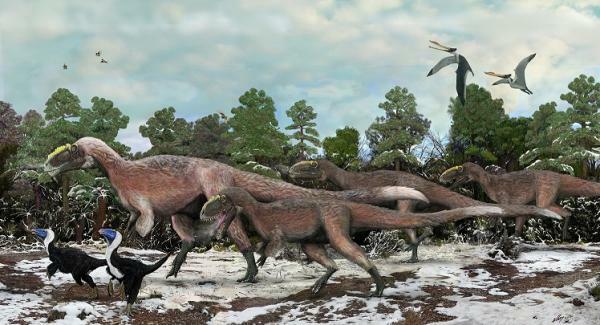 Full post: Did T. Rex Have Feathers Too?